When you are next hitting the shower, you may want to take a second glance at the shampoo you are using. A young prankster has today shown what would happen if some of the bathroom bottles get mixed up. Kayla Connors, posted some pics to Twitter showing her sister supposedly bald after confusing ‘Nair’ hair removal cream with shampoo. As you can see, her hair appears to be totally bald! 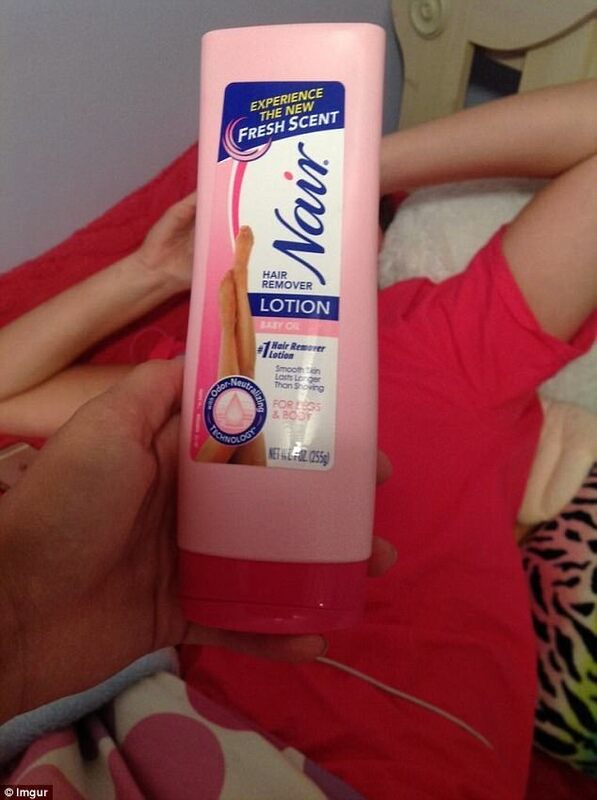 Kayla tweeted: ‘My sister thought Nair was shampoo’ along with a red-faced and under-the-weather emoji. The second pic shows the bottle in question. The pics have so far been given 62,000 likes and 58,000 retweets. However a lot of people have pointed out that it really does look like a hoax. ‘Such a horrendous Photoshop, look at the hairline,’ one viewer wrote. 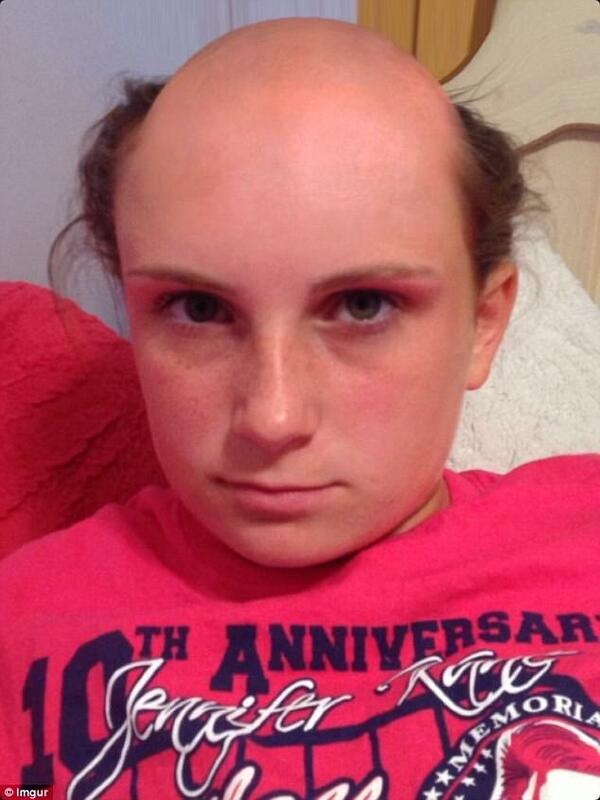 Another suggested that Kayla used an app to create the bald look. ‘Isn’t this just a bald app? The top left of her scalp looks glitched out,’ one person said. Others pointed out that no hair removal cream works that well. ‘Yeah sorry, it really doesn’t work THAT fast, and smells so gross you would have to be REALLY dumb to not freak out and get it out instantly,’ another viewer said. Several commenters also reminisced about making the same blunder when they were younger. 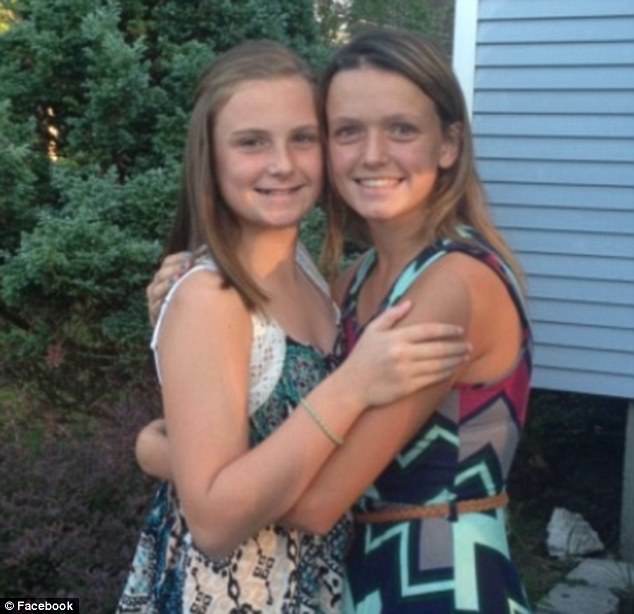 Hopefully for Kayla’s sister’s sake, it was a prank and the photos were the down to some clever photo-trickery. Copyright (C) 2019 ウケるネタのまとめ宝庫 All Rights Reserved.